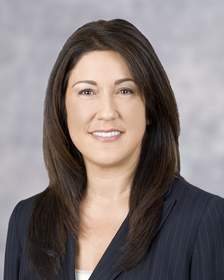 SAN DIEGO, CA--(Marketwire - Feb 26, 2013) - Overland Storage (NASDAQ: OVRL), the trusted global provider of effortless data management and data protection solutions across the data lifecycle, today announced that Jillian Mansolf has been named one of CRN's 2013 Channel Chiefs. This prestigious list of the most influential and powerful leaders in the IT channel recognizes those executives directly responsible for driving channel sales and growth within their organization, while evangelizing and defending the importance of the channel throughout the entire IT Industry. This is the third consecutive year that Mansolf has been recognized by CRN as a channel chief. Since joining Overland Storage in 2009, Mansolf has been responsible for spearheading the company's initiative to sell branded data management and data protection solutions exclusively through the worldwide channel. Under her leadership, Overland launched its first globally integrated channel program, the FastTrack Partner Program, which now has over 4,600 registered partners worldwide. Dedicated to boosting the success of its partners, the Overland FastTrack Partner Program offers integrated video training and in-person educational events to help partners stay on top of storage industry trends. To help partners increase sales and grow revenue, the program provides online sales and marketing tools, as well as automated deal registration and guaranteed margin protection. During the past year, Mansolf lead the launch of Overland's SnapSAN products and Overland's first clustered NAS product, SnapScale X2. In addition to launching these innovative enterprise solutions, Mansolf headed the development of lead generation and lead sharing programs, as well as an initiative to make global strategic end-user account sales teams available to premiere partners. This effort has opened up additional markets, totaling over $20 million in new opportunities for Overland partners in the second half of 2012. For over ten years, Channel Chiefs have been selected by the CRN editorial team based on channel experience, program innovations, channel-driven revenue, and public support for the importance of IT Channel Sales. "It's an honor to be recognized as a CRN 2013 Channel Chief, among such an influential group of IT leaders, for the third year in a row," said Jillian Mansolf, SVP Global Sales and Marketing. "This recognition highlights Overland's continued dedication to providing partners with innovative solutions, as well as the best resources and out-of-the-box programs to help partners grow their business." Selected by CRN's editorial staff, the 2013 Channel Chiefs list is featured in the 2/25/13 issue of CRN Magazine and will be featured online at www.crn.com. Overland Storage is the trusted global provider of effortless data management and data protection solutions across the data lifecycle. By providing an integrated range of technologies and services for primary, nearline, offline, archival, and cloud data storage, Overland makes it easy and cost effective to manage different tiers of information over time. Whether distributed data is across the hall or across the globe, Overland enables companies to focus on building their business instead of worrying about data growth. Overland SnapScale, SnapServer, SnapSAN, NEO Series and REO Series solutions are available through a select network of value added resellers and system integrators. For more information, visit www.overlandstorage.com. Overland Storage, SnapScale, SnapServer, SnapSAN, NEO Series, REO Series and the Overland logo are trademarks Overland Storage, Inc., that may be registered in some jurisdictions. All other trademarks used are owned by their respective owners.